Technolog are delighted to win the TOP Achievement for Partners award. This was held at Maynilad Water Services Ltd, Manila, Philippines on 5th September 2017. 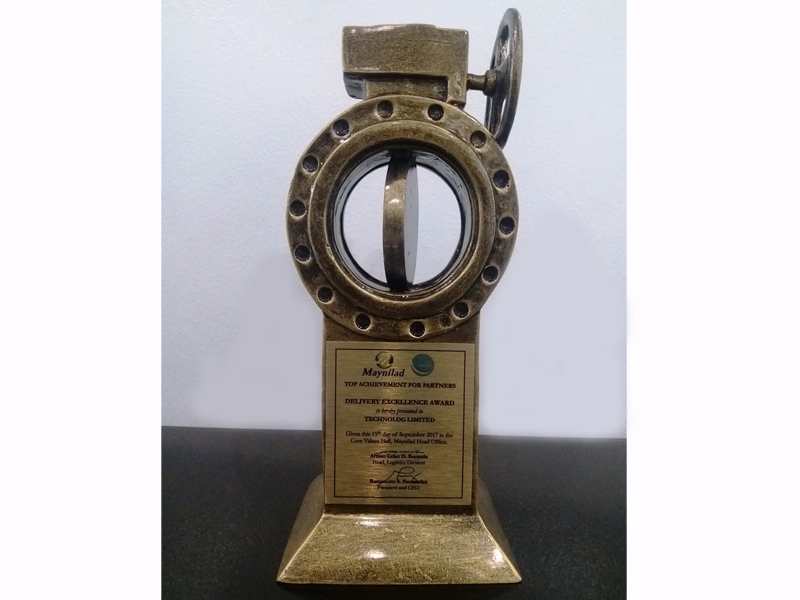 The award was received for delivery excellence and providing exceptional levels of product support. In addition we offer our sincere appreciation to Maynilad Water Services for their valued business with our company and to also our channel partner, WaterKonsult Equipment and Services Inc, for their ongoing support. Since 2001 Waterkonsult has been a pioneer in providing advanced leak detection technology by using highly-evolved techniques in flow and pressure data acquisition and management, also pressure zone analysis, pressure reducing valve operation and maintenance, as well as in water meter accuracy, proper sizing, and calibration, hence reducing Non-Revenue Water losses of water utility companies and water districts throughout the country.